From a Georgian-era locket ring to Victorian brooches Strauss & Co‘s highly anticipated live auction of Important South African and International Art, Decorative Arts and Jewellery in Cape Town on October 15 is full of beautiful treasures. A highly anticipated event on the auction calendar, the sale annually attracts a Joburg audience who travel to the Mother City for this exciting showcase. With nearly 600 bid lots going under the hammer we thought we would make your life easier and pick out some of our favourites from the selection of jewellery and decorative arts. And even if you can’t be in Cape Town, you can still bid by phone or put in an absentee written bid for your chosen lot(s). 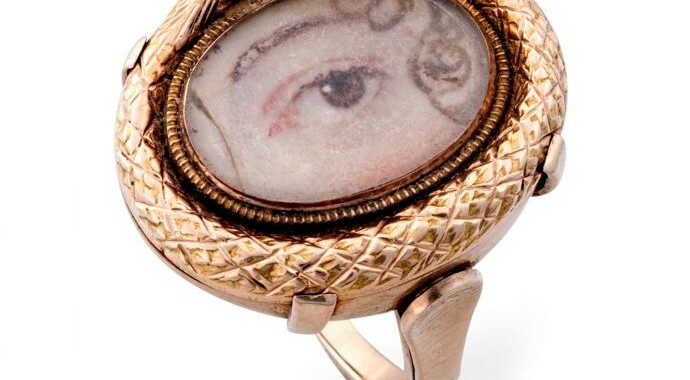 Georgian Lover’s eye ring. Lot #3, estimated R8,000-R10,000. The jewellery selection for this auction spans several centuries. If you love a showstopper, the glamorous Mid-Century Modern textured dress ring (above) is topped with a whopping 1.4270 carat diamond. 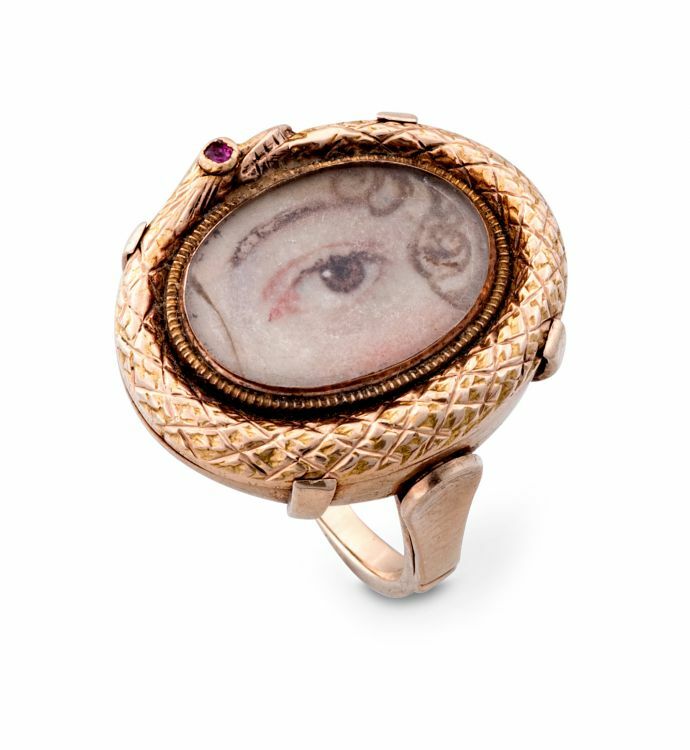 For those who have more quirky tastes, take a look at the cheeky Georgian-era locket ring featuring the piercing stare of a young woman, framed by a serpent with a subtle ruby eye (see below). 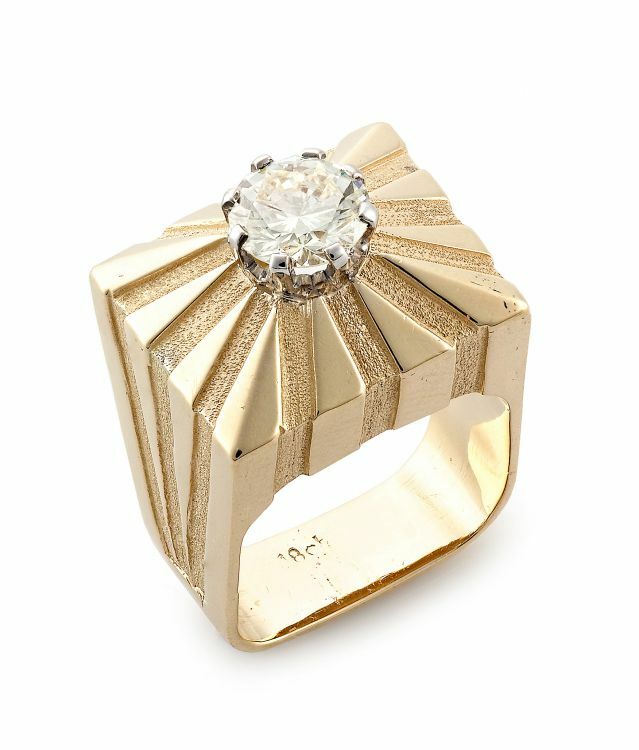 Diamond and gold dress ring, 1960s. Lot #112, estimated R38,000-R40,000. Another highlight of the jewellery session is the selection of whimsical Victorian-era brooches embellished with sapphires, pearls, rubies and diamonds, worthy of being framed for your wall as a piece of art. For the more practical-minded, have a look at the offering of classic timepieces, such as our favourite, the menswear-inspired Lady’s Rolex bracelet. 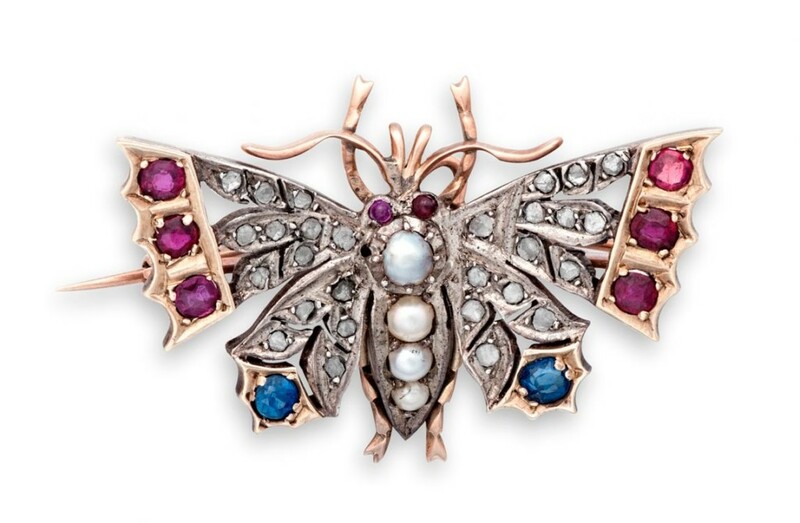 Late Victorian gem-set butterfly brooch. Lot #12, estimated R8,000-R12,000. Lady’s gold Rolex bracelet wristwatch, 1960s. Lot #62, estimated R12,000-R15,000. It’s a great way to get a history lesson. For the Decorative Arts auction session you’ll find a diverse collection of South African and international fine art, home goods, decor and furniture. You can’t go wrong with the classic blue and white Chinese porcelain plates and serving dishes, while the brightly coloured and vibrant Italian glassware will add a unique pop to your next dinner party. 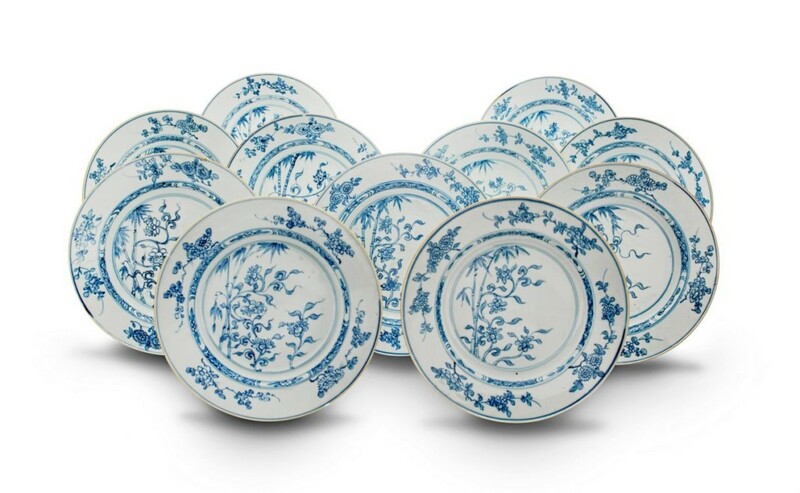 A set of eleven Chinese Export blue and white plates, Qianlong period, 1735-1796. Lot #248, estimated R25,000-R30,000. A Seguso red and blue sommerso glass vase and stopper, Murano, 1960s. Lot #318, estimated R8,000-R10,000. 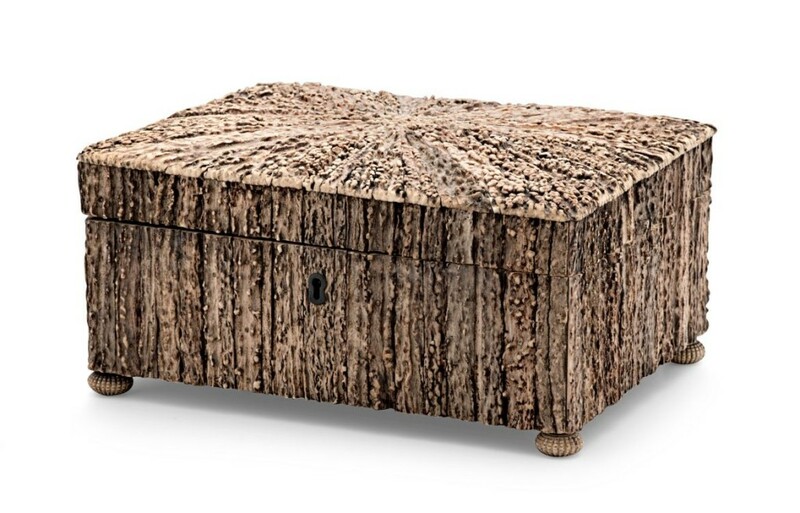 There’s a selection of a dozen Cape furniture pieces that are certain to be a big draw, and we were particularly struck by the small and unusual sewing box adorned with panels of elk antler. The centrepiece of the two fine art sessions is the inclusion of the private collections of the Labia Family Collection and the Late Peter and Regina Strack Collection. An Anglo-Indian elk antler, ivory and wooden sewing box, Vizagapatam, 19th century. Lot #302, estimated R20,000-R25,000. All works from the auction will be on show to the public at at The Vineyard Hotel, Newlands in Cape Town before the sale begins for preview days, walkabouts and thematic lectures from Friday, 12 October to Sunday, 14 October, 10:00am to 5:00pm. To see all the auction lots head to Strauss & Co’s website. 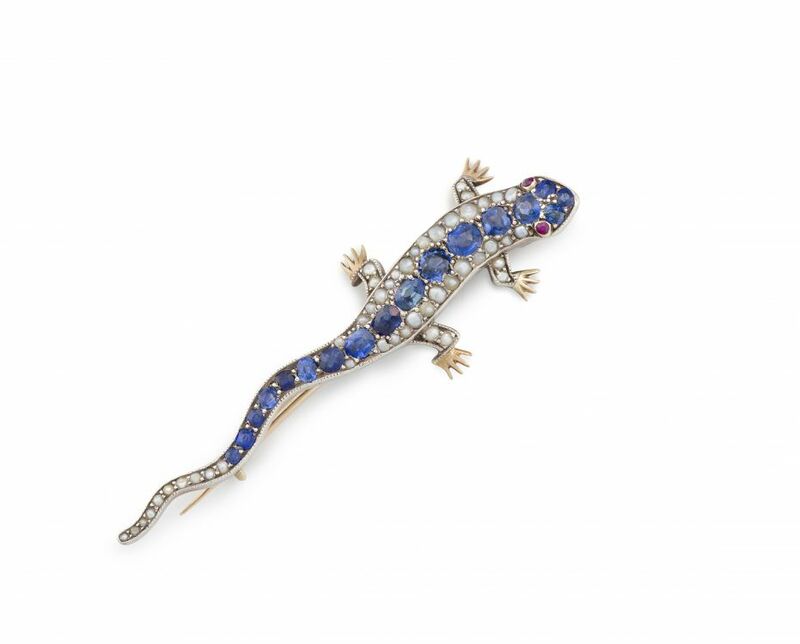 Victorian sapphire and seed-pearl salamander brooch. Lot #67, estimated R8,000-R10,000.